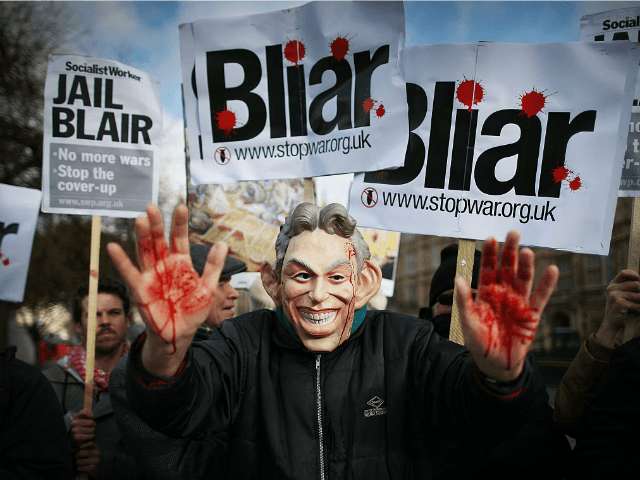 Tony Blair will not be investigated and put on trial for war crimes, but British soldiers could be, the International Criminal Court (ICC) has stated. Sir John Chilcot’s long-awaited report on the Iraq War will be published on Wednesday. Astonishingly, the ICC said its “preliminary examination” into British soldiers comes after “human rights lawyers” have made claims of abuse on behalf of Iraqi alleged victims. In an official statement to the Telegraph, the Office of the Prosecutor at the ICC said: “We will take note of the Chilcot report when released in the context of its ongoing preliminary examination work concerning Iraq/UK. Grieving families of soldiers killed in Iraq have responded furiously to the decision, as they blame Mr Blair for engineering the war. The ICC prosecutor’s office said the ICC was looking at introducing a “crime of aggression” which would cover illegal invasions but that “has not yet crystalised and in any event, will not apply retroactively”. Reg Keys, whose son was one of six Royal Military Police slaughtered in cold blood in 2003 said: “The ICC should be using the Chilcot report as a basis for a legal action against Tony Blair not as ammunition against British soldiers for alleged abuse.” Mr Keys stood for election against Tony Blair in 2005. The Chilcot report is expected to be strongly critical of Mr Blair’s role in launching the Iraq War, which many critics believe was illegal. It is thought the report will likely say that Mr Blair and his government misled the public over the presence of weapons of mass destruction in Iraq.